In order to make beautiful espresso coffee at home you need three things: a good espresso machine, an even better grinder and the best espresso beans. But what factors determine the best coffee beans for espresso? We cover some of the essential criteria to look for below including coffee roast, quality and origin of the coffee bean. Once you have a short list of the best beans for espresso (choose from below!) it then comes down to personal taste. There is no single best brand of espresso coffee – there are many. So go forth and experiment! 4. Do You Take Milk? Before we get into a comparison of the best espresso beans we need to explain what we mean exactly. See the thing is, espresso beans are the same as coffee beans. Espresso beans are not a type of coffee bean, they are not a type of plant. They are one and the same thing. It gets a little confusing as some coffee roasters market their beans as ‘espresso beans’. This is simply a way for the roaster to indicate the best brewing method for certain coffee roasts. What we actually mean when talking about espresso beans is the best coffee beans to brew an espresso coffee. A good shot of espresso requires a good quality coffee bean. And that is what we are here to help you with. Espresso is a style of coffee brewed by forcing water through finely ground coffee beans to produce a concentrated shot of liquid gold goodness. Producing around 0.85 oz of espresso in your cup. There is no getting around the point that in order to prepare the best espresso coffee you will need an espresso machine. However, regardless of whether you own a budget espresso machine, a semi-automatic or an automatic coffee machine, the quality of the beans and the choice of roast will have a big impact on the quality of your espresso. So to help you in your quest to make the best espresso coffee we share our 10 favourite coffee beans for espresso. All of the top rated espresso beans in our list are sold as whole beans. 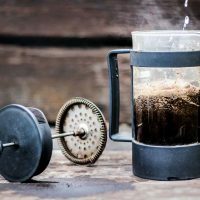 Some companies do offer ground coffee as an option but before you do, why don’t you consider adding a coffee grinder to your arsenal? You can get started with a manual coffee grinder for very little cash outlay. Okay, let’s get to our list of the best espresso beans. For ease of reading we have grouped these coffee beans by roast. Related: If you have a sensitive stomach, take a look at our Guide to Low Acid Coffee Beans. So after running your eye over this comparison chart you might be thinking any style of whole beans can be used to make espresso in your home machine. And you would be correct. There is no reason to stick with one style of coffee roast for your shot of espresso. But, there are a couple of factors that will make some beans better than others and we list these below. We mention this point a lot around here, but we will say it again. Buying fresh whole beans and grinding them at home is one of the best ways to make a great espresso at home. There are two types of coffee beans grown around the world. Arabica and Robusta. Arabica beans tend to be grown at high elevations, have more acidity and complexity of flavor but are also more expensive. Robusta coffee beans are higher in caffeine, have a more robust flavour, are grown at lower elevations but are considered poorer in quality. Arabica beans are the best quality coffee beans. If you are after the best espresso coffee, we think 100% Arabica coffee beans are a good place to start. Traditionally most coffee beans recommended for espresso are dark roast beans. Dark roasts are bold, smoky and often have a bitterness not found in other roast styles. While this may not be great for people who drink their coffee black, they are a great choice for people who add milk to their coffee. The robust flavour of a dark roast is able to cut through the milk much more effectively than a medium roast coffee. This is the reason why a number of the espresso beans on our list are dark roasts. But there are many reasons why medium and medium dark roasts are a great choice too, especially if you drink black coffee. Medium roast coffee beans tend to have a more complex flavour than lightly roasted or dark roasted beans. What about light roast coffee beans? 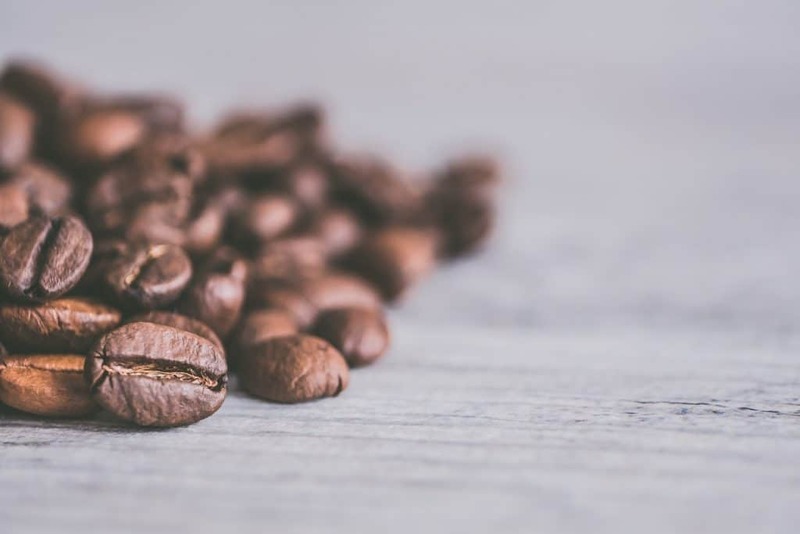 Light roast beans have higher acidity, are higher in caffeine and often have fruity overtones, but they tend to fall flat when used for espresso. They lack the body and richness of flavour of medium and dark roasts. So unless you have a personal love of light roast coffee beans, we think you are best to avoid them for espresso coffee. The best espresso beans will also depend on whether you like your espresso straight up or with milk. Let’s face it, the majority of coffee drinkers add milk to their coffee. The problem is that milk fundamentally changes the flavour of the espresso. Milk softens the acidity of your coffee and also makes your espresso taste sweeter. But sometimes it also cloaks the intricate flavor of the coffee. If you are a milk coffee drinker we think a medium dark or dark roast is a good choice. If you drink your espresso black, then you have a wider range of roasts to experiment with. For a unique espresso experience, experiment with different single origin coffee beans. Traditionally coffee beans for espresso have been blends. The primary reason for this is that many single origin blends have more delicate flavors and are better combined with others. But as more high quality single origin coffee beans come on the market, there are gems waiting to be discovered. Africa is known for fruity and complex flavours. Asia is popular with those who love earthy and rich texture. Central and South America delivers well balanced, sweet brews. 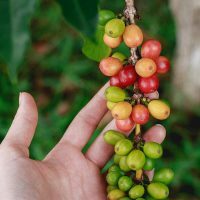 If you are confused by any of the flavor descriptions you can check out the Specialty Coffee Association flavour wheel here. It is a great visual representation of coffee flavors and descriptors. Described as silky and complex with a bold happy ending, there is a lot to love about this medium roast espresso blend. 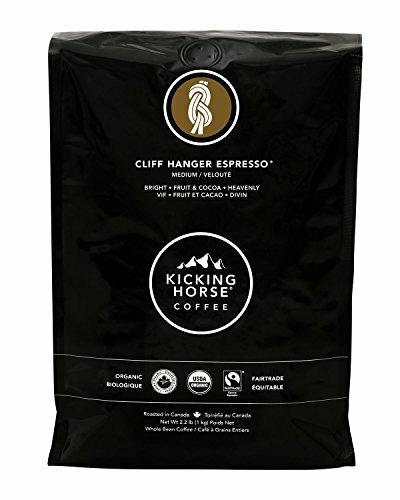 Kicking Horse continue to kick goals with their coffee blends roasted to perfection. The Cliff Hanger blend is not as bold as the 454 or the KickAss, but for those preferring a lighter blend or if you have a superautomatic espresso machine, this is a great choice. The only downside (if you don’t drink a lot of coffee) is that it only comes in a 2.2 pound bag. Perhaps one of the most famous coffee roasters on the planet, the Italian company Lavazza has been roasting coffee beans for over 120 years. 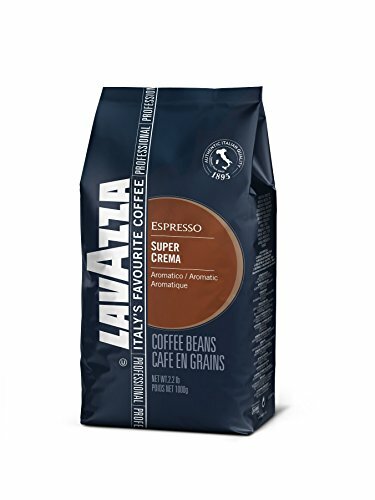 The Super Crema roast is a medium roast and is one of the most popular Lavazza espresso beans. They are a great choice for super automatic machines that need less oily beans. With a mild and sweet flavour it has low acidity and is perhaps not as robust as others on our list. For some this will not be a strong enough coffee. But if you like a mild cup of coffee with milk, this is a good choice. The beans are nitrogen packed for extra freshness. Single origin Indonesian medium roast organic coffee beans. This offering from Fresh Roasted Coffee has bold body and is perfect for a fresh cup of espresso. This blend is also Rainforest Alliance Certified which ensures the coffee is grown in a sustainable way that protects the local environment. 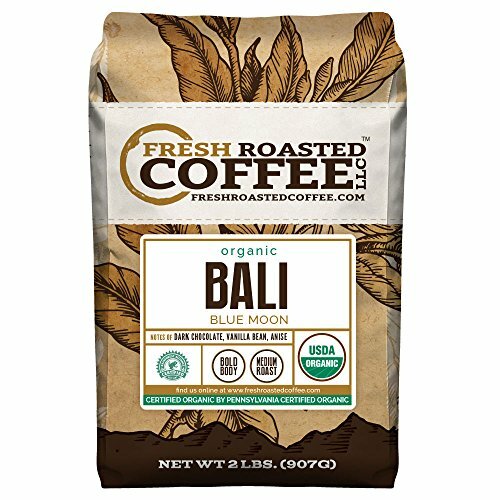 Fresh Roasted Coffee Company have a huge range of coffee blends available, but the Bali Blue Moon has a strong following and is one of their best sellers. It is on the pricey side but we still think it is one of the best medium roast espresso beans on the market. Described as syrupy and sweet, the Black Cat Classic Espresso Blend is the flagship product amongst the Intelligentsia espresso beans. With perfect balance it is just as good with milk as without. 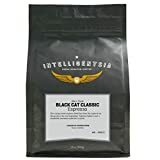 Intelligentsia are on a mission to offer a range of espresso blends under their Black Cat Project that challenge the boundaries of flavor. We think the classic is pretty good though. The Black Cat Classic Espresso comes in an organic version too. It is perfect for those who don’t drink a lot of coffee as it comes in a smaller 12 oz package. Intelligentsia introduced the concept of Direct Trade to the industry and directly source their beans from growers to produce their top espresso blends. We recommend you purchase from the Intelligentsia Storefront to receive the freshest beans! This crew source their beans from the top 2% of all organic Arabica beans through direct sourcing. They are incredibly good value considering the coffee beans are organic, fairtrade and Rainforest Alliance Certified. With a smooth finish and lacking the bitterness found in many dark roasts the Jo Espresso blend is the perfect every day coffee blend. It comes in both a 12 oz and 2 lb bag. 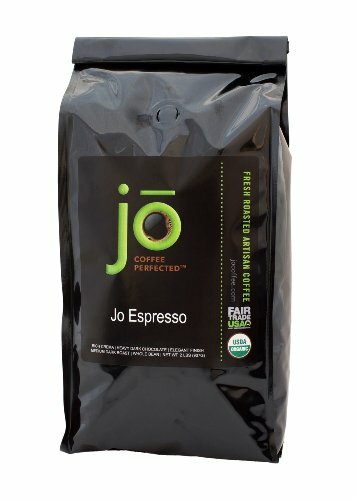 If you are looking for a more intense espresso blend from Jo, they also offer the Wild Jo blend. Sometimes you just need the best cheap espresso beans for good everyday drinking. 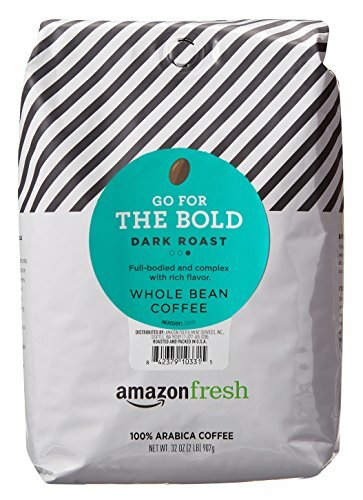 If this is you too, I think this blend from AmazonFresh is a frontrunner for best cheap espresso beans. A dark roast with bold flavour and good reviews, it is the price that makes this so hard to go past. AmazonFresh offers a range of blends and they can also be purchased ground or for k-cups. Sure it probably won’t knock your socks off in terms of complexity or depth, but it will make a perfectly good espresso for the everyday drinker. Best of all if you sign up for the AmazonFresh free trial (click here to sign up) you can have this set up on autopilot to be delivered to your door every month without fail. This single origin dark roast espresso coffee is the only one on our list that is grown, processed, roasted and packed at source. The beans are grown at higher elevations at the base of two volcanoes. 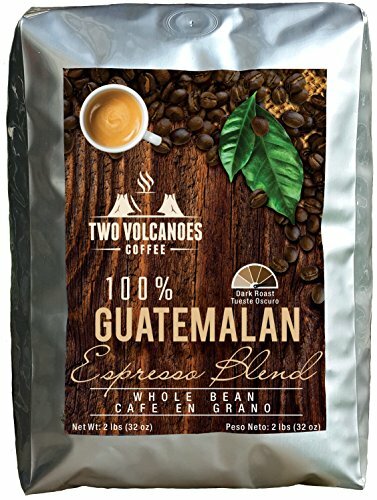 The Guatemalan Espresso blend has a deep full body without bitterness. They do tend to be on the oily side so best avoided if you have a superautomatic machine. The beans are grown organically, but are not listed as USDA compliant. 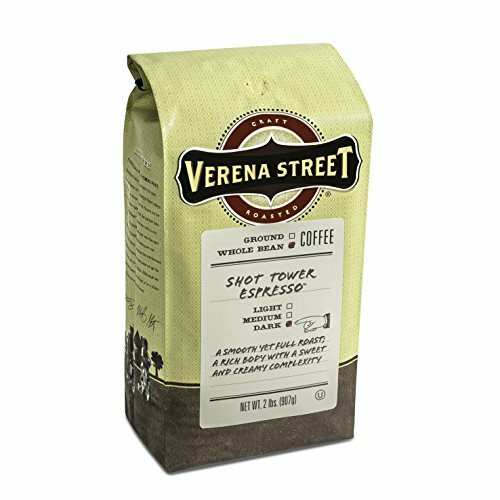 Described as having a smooth but sharp character, this dark espresso blend from Verena Street is full bodied with sweet and creamy complexity. Roasted in small batches for maximum freshness, these beans are also Rainforest Alliance Certified so they are good for the environment too. Verena Street is a small family run business based in Iowa. You can choose between a 12 oz and 2 pound bag of beans. 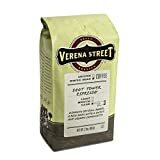 If you are someone who is impartial to a little flavouring with your coffee beans, Verena Street also produce a number of flavoured coffee beans including the immensely popular Mississippi Grogg. Koffee Kult has grown rapidly in recent years and has become something of, well, a cult. 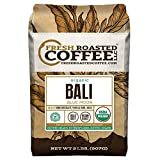 Their dark roast is a strong bold coffee with heavy body and a smooth finish. There is none of the bitterness found in many dark roasts. This roast can be purchased in 1, 2 or 5 pound bags. 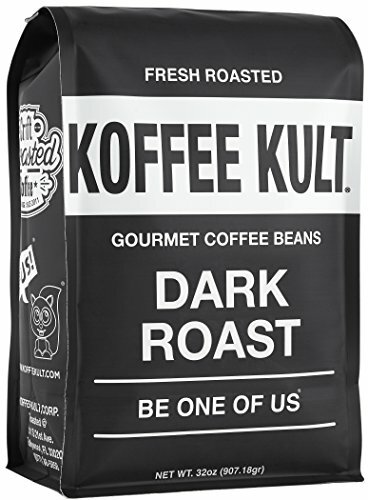 There are a large number of different roasts to try in the Koffee Kult family. Don’t be afraid to experiment with other blends too. With twice the caffeine of your average coffee, Death Wish Coffee offers one serious hit of espresso. Certainly bold with a full body taste, it is also surprisingly smooth. 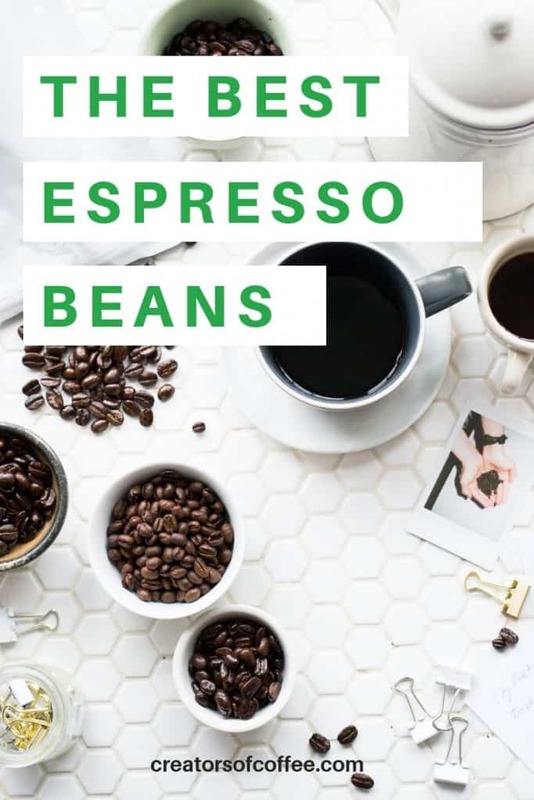 The flavors may be too bitter for black coffee drinkers, but it is perhaps the perfect espresso bean for milk coffee drinkers who love a strong coffee. The espresso cuts through and holds it own against the milk. The blend has a mix of Arabica and Robusta beans, which is how they have bumped up the caffeine profile. It is however one of the more pricey beans on the market. If you aren’t convinced they offer a 100% refund. They make a great gift for coffee lovers. If you own a superautomatic espresso machine, then hopefully you already know you need to use non oily espresso beans. The best thing about superautomatic machines is they do everything for you from grinding the bean to frothing your milk. Read our review of the top automatic espresso machines here. Unfortunately one of the downsides is they can be difficult to clean. Dark oily coffee beans have a reputation for clogging up beautiful expensive superautomatic espresso machines. In general the darker the roast, the more oily the bean. We recommend you stick with a medium roast to ensure you don’t have any problems with your espresso machine. The easiest way to ensure you never run out of fresh coffee beans at home is to order online through Amazon Prime. If you aren’t yet signed up to Amazon Prime you can sign up for a 30 day trial here. With free two day delivery, you can have the best espresso beans delivered straight to your door anytime. The other great option is to order through AmazonFresh, the online grocery store. Just order your weekly groceries online, include a bag of your favorite coffee beans and choose the best same or next day delivery window. What could be easier? Click here to try the AmazonFresh Free Trial today. 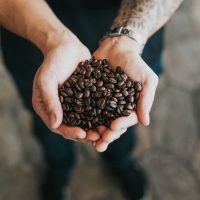 If you are looking to experiment a little with whole espresso beans but are unsure what to buy, another great option is to sign up for a coffee subscription box. My favourites are this one by Driftaway Coffee and this one by Bean Box. However you source your coffee beans, we encourage you to experiment in order to find the best espresso beans for you and your palate. Happy drinking! Latte vs Flat White – Do you know the difference?